Product Size: H 48 x W 98 x D 49 Cm Approx. 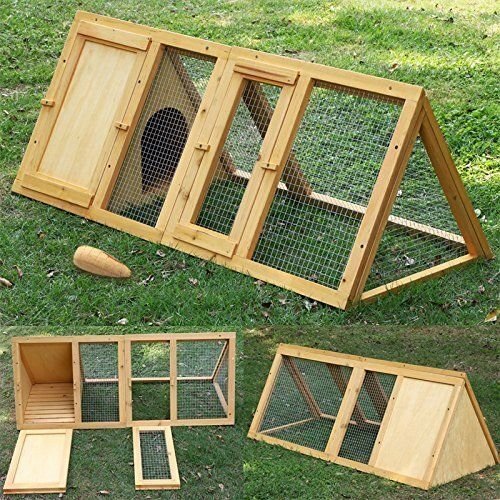 Garden Mile® High Quality Large Wooden Predator Proof Triangular Shaped Rabbit Hutch/Cage With Built In Run Small Animal Or Bird Habitat For Safe Small Pet Living Indoor Or Outdoor Use. 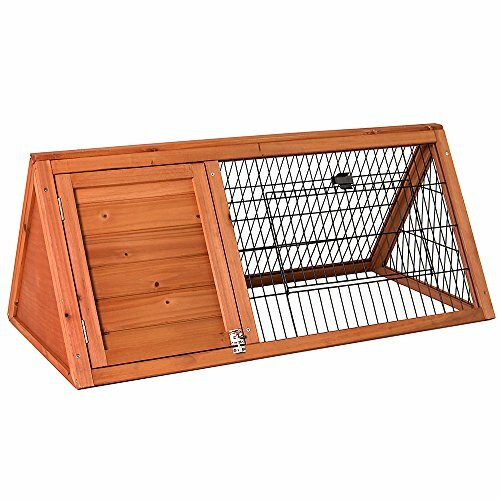 WOODEN RABBIT HUTCH- This Animal Hutch Is Is Ideal For Keeping Your Loveable Furry Friends Safe And Warm With This Predator Proof Animal Habitat. 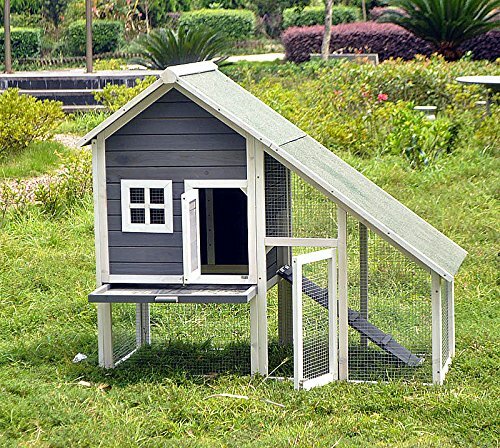 HIGH QUALITY- Made From Treated Fir Wood And Galvanised Metal This Animal Enclosure Can Be Used Outdoors And Is Fully Weatherproof. 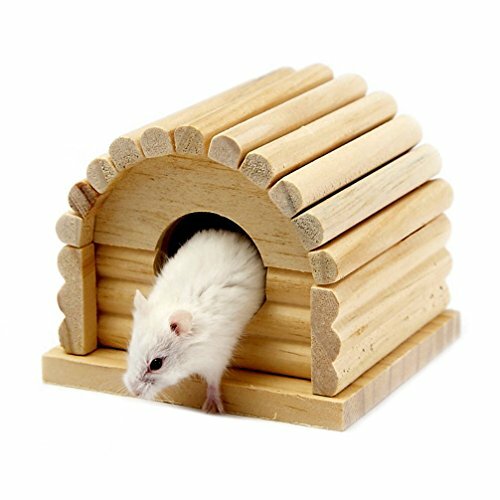 HERE’S HOW YOU CAN KEEP YOUR HAMSTER FIT! 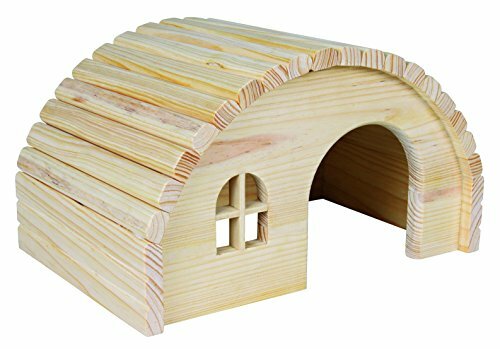 – Looking for a durable and fun running accessory for your pet hamster or squirrel? 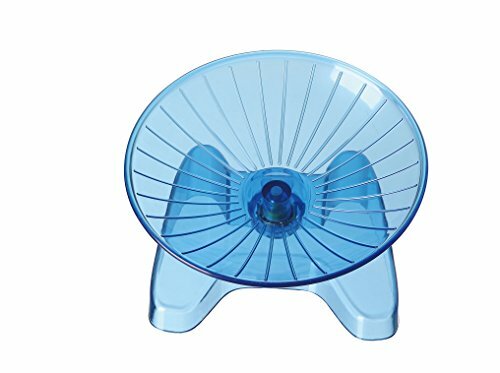 The SatisPet ultimate flying saucer rodent exercise wheel is here to keep your hamster entertained for hours due to its fun design! 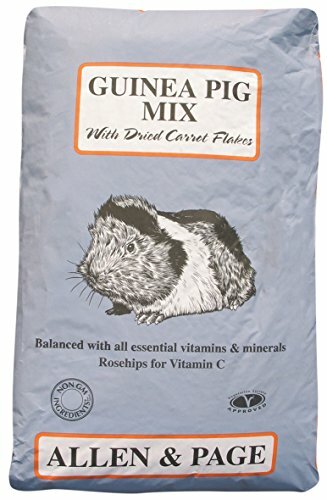 YOUR HAMSTER WILL RUN BUT YOU WILL NOT HEAR A THING! – Unlike other squeaky and noisy exercise wheels, our premium hamster spinning wheel is ultra-silent! 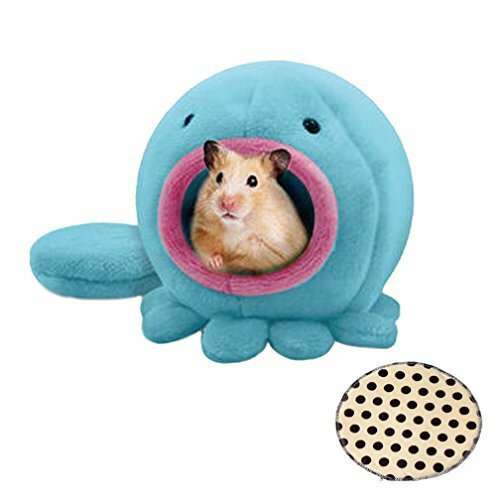 Now you can sleep a few feet away from your hamster’s cage and you’ll not be disturbed by any noise! IS YOUR HAMSTER BORED IN THE CAGE? NOT ANYMORE! 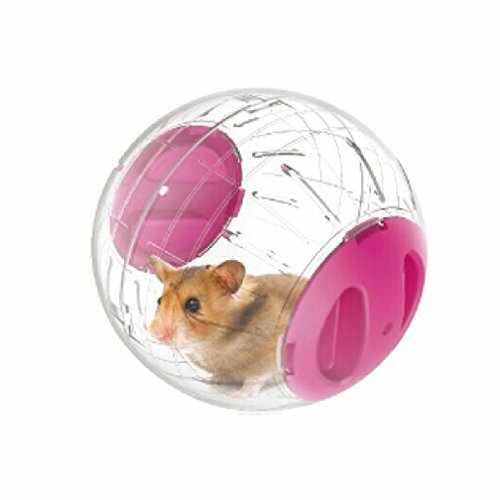 – When it comes to hamster accessories, nothing beats a colorful and fun exercise wheels! And when it comes to exercise wheels, the SatisPet flying saucer running wheel is unrivaled due to its sturdy construction and super-fun design!